This is to notify the general public that the Delta State University, DELSU Admission Screening Results is out – 2017/18. Candidates who took part in DELSU admission screening exam can now check their performance and wait for the final admission list to be announced soon. 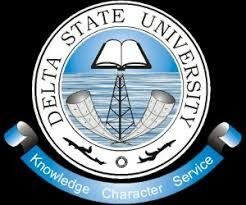 Management of Delta State University (DELSU) has released the admission screening results of the candidates that participated in the screening exercise for admission into undergraduate programmes in the 2017/2018 academic session. The results of the 1st day of the screening were released in less than 24 hours.